Idea Music Lounge is an exclusive music app made for Idea subscribers. It is a step-up for music lovers. A destination you can count on to entertain and refresh yourself with a mix of latest tracks and retro classics. Standing true to the wide range of audiences and their preferences, Idea Music Lounge brings you an exhaustive list, encompassing all the genres from the music world. 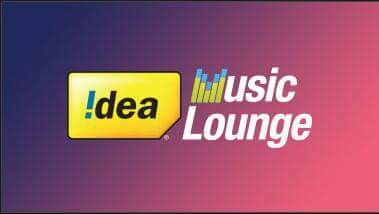 Get Rs.25 Talktime & 90 Days trial Of Idea Music Lounge Absolutely Free for idea User from below steps. How to Get Idea Music Lounge 90 days Free Subscription & Rs.25 Talktime? • Done! You will get 90 Days Free Subscription + Rs.25 Talktime. - Download the app for free subscription. - The offer is valid only for Android users. - This offer is only valid for Idea subscribers.